We just got back Monday night and are trying our best to adjust back to the US time schedule! We can't believe that the wedding and the trip is over, however, we are looking forward to receiving our photographs and video discs to relive the memories! We had an amazing time in Italy, but more importantly to Chris and I, our families and friends had such a wonderful time! In fact, many of them have said that it was the best trip they had ever taken!!! 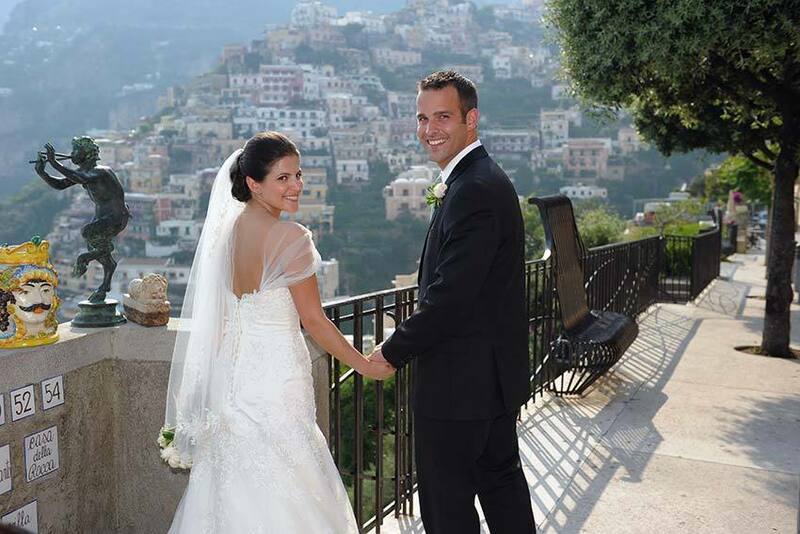 Of course, this is exactly why we wanted to get married in Italy in the first place! Really and truly unbelievable! As far as the wedding plans go - you did an absolutely AMAZING job! Considering it all from a foreigner's perspective and all of the necessary and sometimes confusing requirements, paperwork, and proper procedures, the wedding was perfectly beautiful and a dream come true for us! Every single one of us there were just in awe of the church, the beach, the ocean, the people! The day was just one big dream - I can not emphasize it enough!! None of it would have been possible if it weren't for YOU! We will never forget you and everything that you have done for us! Well, I will definitely get back to you soon and share some photos with you! I'll miss emailing you and hope we can still keep in touch!